Cheap warm weather vacation ideas – By December or January, those of us experiencing winter weather are ready for a break. But is it possible to find sunny destinations that won’t break the bank? We’ve put together a great list of cheap warm weather vacation ideas to consider. Read on for three U.S. destinations and three international destinations that will warm you up while saving you money. Make it easy and less expensive too by packing carry-on luggage. The nice thing about seeking sunny getaways in the U.S. is the lack of travel time and lower airfare, or none at all, depending on where you live. You don’t have to cross the globe to find warm water and blue skies! An easy flight from most parts of the U.S., the city of Palm Springs, CA is a new favorite getaway for me and my family. What it offers: desert beauty and outdoor recreation, world-class spas and golf, excellent cuisine, and perfect lounge-by-the-pool weather. What it lacks: the showiness of Las Vegas or the harried atmosphere of Southern California. While in Palm Springs, rent a villa instead of booking a hotel room. Not only will you be more relaxed, but these getaways (some of which even include a chef!) are more affordable than you’d think. Spend your mornings hiking, golfing, or riding the Palm Springs Ariel Tramway and your afternoons by the pool. Yes, another California destination… I can’t help it if there’s sunny skies here! 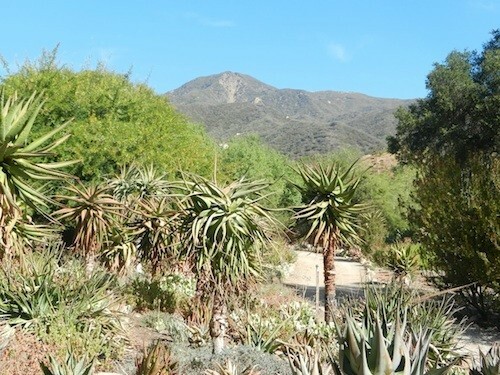 If you haven’t heard of Ojai, you’re not alone. This sleepy artist community in the hills above Los Angeles likes its privacy, as well as its visitors. Stay at the Blue Iguana Inn to surround yourself with lush gardens and tranquil desert mountain views in all seasons. In the winter months, travelers stroll through the art galleries downtown or visit the area olive oil farm in mildly pleasant temperatures, and feel a million miles away from the city. You don’t need to go to Florida for white sand beaches and sunny weather. Gulf Shores offers miles of sand, the Bon Secour National Wildlife Refuge and dolphin cruises. There are plenty of Alabama Gulf Shores oceanfront hotels to choose from, and families will love the laid-back atmosphere so far from the spring break hotspot of Florida. Caribbean waters meet budget-friendly accommodations in the Dominican Republic. For easy Punta Cana travel, Dreams Punta Cana Resort and Spa is family-friendly, with onsite beaches, pools, kids’ clubs, and dining. The Punta Cana Ecological Reserve is an easy distance from all lodging, and offers 12 freshwater lagoons and tropical habitats. The Caribbean is a great destination for those seeking a budget vacation. It’s not exactly a secret that Mexico is a great destination for warm-weather travel, but Puerto Vallarta gets my top vote due to its affordable access from most U.S. airports. The lush mountains overlooking the city are perfect for Puerto Vallarta horseback tours, and while the hotels closest to town can have a party atmosphere, lodging north and south of the boardwalk area — such as our pick, Velas Vallarta — are affordable and quiet. Located on the Mediterranean Sea above Barcelona, Costa Brava may not be the most affordable destination to get to from the U.S., but once there, the abundance of hotels, restaurants, and beaches make it a discerning traveler’s dream. Known for its fresh cuisine and fun shopping, Costa Brava offers affordable fun in the form of beaches, hiking, and daytime excursions. Honorable mention will go to Madrid because of the plentiful apartments in Madrid. 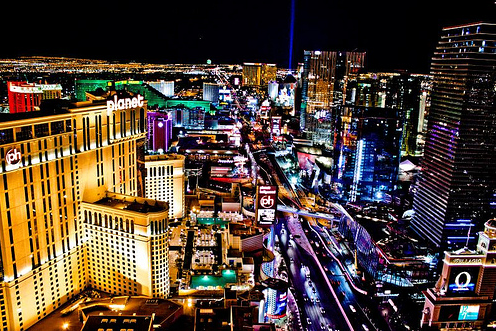 Las Vegas truly is a city that never sleeps, and a favorite party destination with tons of attractions and things to do. Some people try their luck at the many Casinos, others spend their money on crazy experiences. Nothing is impossible in this city, and there is something for every type. Las Vegas might be all about glitz and glamour, but awe inspiring nature is not far away, and just like Las Vegas always has to have the biggest and the best – they offer the same with nature: Grand Canyon. The best way to explore and experience the vastness of this natural wonder is to take a helicopter tour over it. Besides, a helicopter tour alone is an experience! The action is never far away, in fact you don’t even have to leave the hotel to experience thrills and action. The New York New York hotel and the Stratosphere Hotel both have roller coaster rides inside the actual hotel, but if you want even more rides to choose from you can always visit Circus Circus, the second largest indoor theme park in the country. Las Vegas has plenty of fun shows every night of the week, some which even are free. For something truly spectacular, however, nothing beats the Cirque du Soleil shows, of which there are plenty. Each show is different and suits different tastes and ages. We met a couple who had been taking Las Vegas holidays for a week, and went to a different show every night. Their favorite was Brian Hoffman’s “Remembering Red – a tribute to Red Skelton”. Disney World in all honor, but after enough “child friendly” theme parks it might be time for something new, something for all those parents. How about re-living those sandbox days of being a child digging with tractors – only this time it’s for real. Operate heavy machinery, like Caterpillar bulldozers, and dig in and move some dirt! This is definitely a unique experience you can’t do at home. If you want to check something out for free, the Bellgaio fountains won’t disappoint. The fountain light show is easy to squeeze in to a busy schedule, as it’s on several times per hour all night. The water show with its lights and music is a romantic little attraction to enjoy for a bit while resting your feet. Islands to Visit on Budget: The Caribbean region, comprising of more than 700, breath-taking beautiful islands is a haven for sore eyes and enthusiastic travelers. As some say, the islands are enough in number for you to take annual holidays on a different island each year. From serene beaches to white, pristine sands to exotic tress and landscape, the islands entice you to extend your vacation plans. Sigh, if only money grew on trees, who would mind weeks long vacations on these tranquil beaches? Luxury hotels, boutiques and commercial ventures dotted along the western edge of the island may dazzle you but even all of them put together can be no match for the heavenly sunsets at the island. ‘Carubbian Festival’ is a weekly street party held at Aruba. Tourists can sample regional specialties at numerous foods and drinks stall set up every Thursday. Your best bet for a budget hotel may be MVC Eagle Beach, back on the west side with accommodation charges starting from $145. The well-developed west and south coast can make Barbados seem as a –not-so-exotic island but don’t be fooled by it. An island of great beauties, Barbados has much to offer in terms of sight seeing and adventurous activities. Botanic gardens, Barbados Museum, Barbados Wildlife Reserve and Garrison Savannah Area are some of the gems you come across during your tour. If you prefer action-packed tour to sightseeing, then hiking, wind-surfing, diving and more are the options for you. 3 star hotels at Barbados can be booked for an average of around $120. Lying off the western Coast of Chile, the Chiloe Archipelago is a place of its own, offering a unique amalgamation of cultures, custom and language due to its isolated location. 16 of the 150 wooden churches here are UNESCO World Heritage Sites. Chiloe is characterized by its palafitos (houses mounted on stilts along the shore), the scrumptious curanto stew of potato, meat and seafood and a number of dishes cooked with fish and shellfish. The Isla Grande de Chiloé (The Big Island of Chiloé) is a ferry ride away and is the second largest island in South America. Accommodation for a day in Chiloe falls in the range of &75-$150. 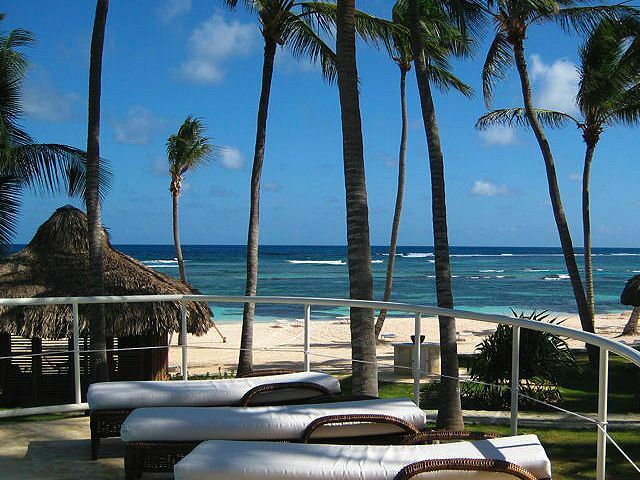 You can find great deals on all-inclusives, especially on the island’s east coast, Punta Cana. Along the north shore, you may find house rentals and hotels worth looking into. The 27 Falls of Damajagua are a tourist’s fascination, known for their thrilling jumps and slide over the waterfalls. Canoeing and cascading trips are also on offer on the north coast of the island. Budget of accommodation in Residential Casa Linda villas, and with other villas is from $120 onward. The flights to Jamaica are cheap and frequent and the resort destinations are many in number, making it easier for you to pick according to your budget. Treasure Beach, houses a few of small scale hotels. To give an estimate about budget, rooms can be booked at Jakes Hotel starting from $90 and from $111 at Marblue Villas. 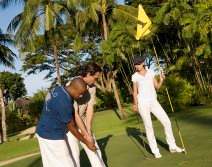 Club Med Ixtapa Pacific provides the ideal getaway for those who love golf and the beach. With a stay at the Ixtapa Pacific, a Club Med resort, visitors can have the best of both. 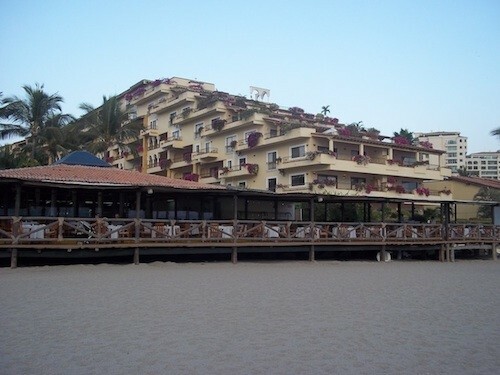 The Club Med Ixtapa Pacific is an all-inclusive property that’s suitable for guests of every age. That means the kids can be fully entertained while the parents are having the time of their lives playing at the world renowned Club de Golf Marina Ixtapa, which is just a short drive away. With luxurious accommodations and endless activities, a stay at the Ixtapa Pacific is sure to be any family’s best vacation ever. The Ixtapa Pacific is a peaceful retreat from the hectic world. Designed in the grand hacienda-style, the property boasts lovely gardens and fabulously convenient access to 2,400 feet of gorgeous beach. However, the accommodations are so gracious and well-appointed that guests just might have a difficult time getting out to enjoy the scenery. Guests may choose from among three different styles of accommodations, each more luxurious than the last. Book a deluxe room for plenty of wonderful amenities or upgrade all the way to a suite for the ultimate in space, service and privacy. All rooms have flat screen televisions and free WiFi access, so staying in touch is always easy. At Club Med Ixtapa Pacific Resort, everything is included. Accommodations, children’s programs, and a wide variety of sports and activities are all included with every stay. Even dining and drinks, except for certain premium beverages, are included. At four restaurants and two bars, guests indulge in innovative cuisine and the best cocktails in the region. Dining at this resort truly is a feast for all of the senses. The accommodations and dining are fabulous, but most people come to this Club Med resort because of all the activities that are available. Chief among these is playing a few rounds of golf at the scenic Club de Golf Marina Ixtapa Club Med. It’s possible to add a golf package to any resort stay. Alternatively, golfers can purchase a package at the course. Buying a package makes a great deal of sense. It allows golfers to hit the links more than once, and it can save quite a bit of money. Regardless of which package is chosen, this golf course is universally admired for its beauty and for its technical challenges. Opened in 1994, the 18 hole, par 72 course is Ixtapa’s newest. It was designed by well-regarded architect Robert von Hagge. The result is a stunning, beachside course that keeps golfers coming back year after year. Of the 18 holes, 13 lie along sparkling saltwater inlets. This makes the views spectacular, but it also makes the golfing particularly diabolical. Even seasoned players find that their accuracy is tested here, and most lose at least one or two balls in the water. Of course, it’s the challenging holes that whet the interest of visiting golfers. Trying to improve on the previous day’s score is a major pastime. Most people who play the course praise its impeccably manicured greens and fairways. Also earning high marks is the friendly staff who are always willing to lend a hand or offer a word of advice. The caddies are familiar with each and every hole, which helps players read the sometimes difficult to decipher greens. The pro shop is well equipped. Anyone who didn’t bring a set of clubs can rent them here and pass the time of day with other golfers. Golf Digest has called this course one of Mexico’s finest, so no avid player will want to miss the opportunity to try a few rounds. The club is also noted for its restaurant, bar and swimming facilities. Relaxing on the veranda with a meal after a round of golf is a spectacular way to spend a day. Many people take a break from golf to enjoy the lighted tennis courts. 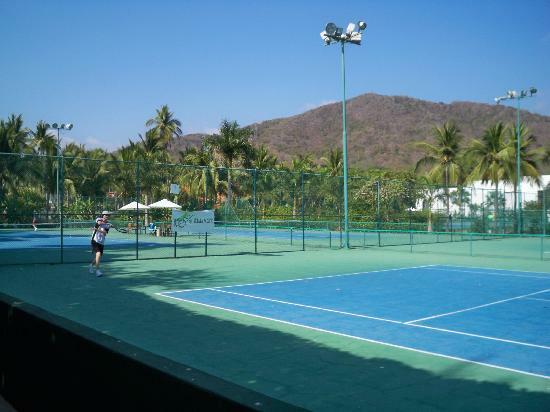 Of course, tennis and a wealth of other activities are also available back at the resort. There’s a full fledged tennis school, and classes are included in every package. Guests can also learn to fly on the trapeze, take archery classes or discover sailing. Those who can’t get enough activity can try out basketball or volleyball. Perhaps observing a cooking demonstration or lounging by the pool will offer welcome opportunities to relax. However, the best way to truly relax and unwind is at the resort’s Wellness Center. This luxuriously designed spa has several treatment rooms where guests can indulge in a massage, facial or other rejuvenating therapies. Guests always feel amazing when they leave the spa. After a hard day on the golf course, what could be better? The Club Med Ixtapa Pacific quickly begins to feel like a home away from home. Every niche is filled with thoughtful details, and the friendly staff is always attentive. Best of all, one of Mexico’s finest golf courses is just a few minutes away. Between days on the links and evening walks on the beach, guests can experience a multitude of activities or simply laze away the hours. With a golf getaway in Ixtapa, guests get to call the shots. 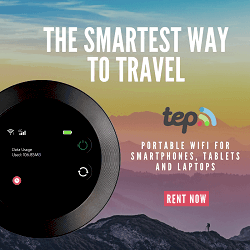 Imagine that you’re on vacation, traveling in a dizzying, non-stop metropolis where the lights and noises of the street keep you up late into the night. You wake up in the morning, step outside of your hostel and are greeted not by the blare of car horns and a cloud of automotive exhaust, but with the quiet hum of bikes, roller blades, and — hey… are those birds singing? This idyllic scenario isn’t some kind of green travel utopia, or something I made up. It actually happens in cities around the world every week. I’ve witnessed what is called a ciclovía (also known as “bike path,” ciclovia, or an open streets initiative). Each Sunday, these cities close off long stretches of a major downtown street and restrict it to just runners, walkers, bicyclists, and skaters. The first time I saw this I was stunned. I had just begun working on my Master’s degree in Urban Planning and was passionate about promoting walking and biking and taking public transit as alternatives to driving a car. It’s the best thing for the environment, reduces traffic congestion, and improves public health. And here I was in a developing country where these cities had taken a bold move to do just that. Close the streets — no cars allowed for several hours — every single week. When I learned more, I found out these events had been going on for almost thirty years in the founding city of Bogotá, Colombia. My home country of the United States could learn a lot from these cities. There are lots of reasons why cities would want to create such open space programs. Having this type of event reduces air pollution by getting cars off the road, and it encourages walking and biking both as transport and for public health. It generates recreational areas, or makeshift parks, in areas that lack space for kids to play safely. These programs can also help to improve the local economy by increasing foot traffic into shops and businesses that usually have cars zipping right past. It helps get people outside and helps build community by letting people meet their neighbors. In total, ciclovías help make cities nicer places to live, work, and travel. Find an open streets event near your home or when you travel. It was a surreal feeling to walk down the middle of the expansive Reforma, a major boulevard in Mexico City, feeling safe and not being afraid of cars. These events are great for people watching, and are a perfect opportunity for travelers to experience life in the community. More than 100 initiatives happen regularly in North and South America, with more forming every week. I’m heading to South America — to Colombia and Ecuador — later this month and am hoping to check one out in Quito, Bogotá, or Medellín. 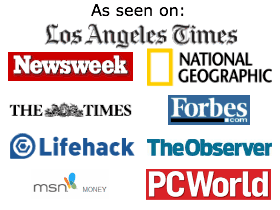 No event near you? Take to the streets! Walking, cycling, or using public transportation when you travel gives you a local perspective on the place you are visiting and helps you make the city a better place. Organize an event in your city. The Open Streets Project has resources to help organize an initiative in your own community. Planning your own ciclovia is easier than you might think! If you have ever been to an open streets event or a ciclovía, it is sure one to remember. Hopefully it was a very positive experience and will encourage you to find some peace wherever you are. If you view Oregon’s Warm Springs Intertribal Reservation on Google Earth, the sparsely populated image that displays on your screen may remind you of the surface of another planet, not rural Northwest ranch land. It’s certainly rugged country, tucked between the craters and plateaus of Central-Eastern Oregon high desert, and accurate to say a satellite image does not do it justice. This wild and scenic land of big sky and bigger vistas needs to be seen to be believed, though if you haven’t heard of Warm Springs Reservation, I’m not surprised. Few people make their home here. It’s far enough off the beaten-path, located along remote Highway 26, that you’re not likely to stumble upon it. If you do make the trip, you’re probably headed for Kah-Nee-Ta Resort and Spa located 11 miles from South Warm Springs, or the tribal casino situated strategically on the highway. We came to Warm Springs on a weekend in May to stay at Kah-Nee-Ta. We looked forward to spending our days swimming in the hot springs-fed swimming pool, sampling the water slides, hiking, golfing, and indulging in a spa treatment. We noticed many families, the majority commuting from Portland for Central Oregon’s signature sunny weather, doing the same. The trouble was, vacationing at Kah-Nee-Ta didn’t give us a feel for the Native American heritage of this square of land, or of its people. Wanting more from our Warm Springs Reservation experience, we made our way to the Kah-Nee-Ta stables, where a local family (all tribal members) run an operation apart from the resort. The stable uses Mustangs native to the area. In fact, the five we rode had been wild just five years prior. Were they the best behaved trail horses we’ve ridden? No, but they were memorable. They gracefully picked their way up steep paths cut into the hillsides, sidestepping volcanic rock and stopping to graze the sparse desert grasses whenever they felt like it. At one point along a bluff, my son spotted another horse running the ridge line. Pointing, he asked where its rider went. The weather was less predictable than we might have liked in late spring. That evening, we attended Kah-Nee-Ta’s traditional Salmon Bake, held indoors instead of out on the lawn overlooking the reservation. Even though we were in a conference room instead of under a wide desert sky, the salmon, cooked authentically in the native style, wowed us. The tribal dancing accompanying our meal enchanted us. We learned the occasion and purpose for various styles of tribal dance, watched the intensity of the drum circle, and saw firsthand how the traditions of the Warm Springs, Wasco, and Paiute people are carried down today as we applauded dancers as young as age three. The next day brought us to the Museum at Warm Springs, where our education of the previous evening was furthered by the award-winning displays and exhibits depicting the three tribes’ history spanning thousands of years. We learned about native architecture, fishing, and hunting, diets and customs. We even were allowed to play with hoops used in dances similar to those we’d witnessed. Driving back to Kah-Nee-Ta, the kids spotted a gaping chasm cut into the rock of a bluff overlooking the highway. I made a hasty promise to hike to it the next day, but didn’t really mean it; surely the kids would forget about this final activity in the task of packing up. No such luck, and thank goodness. Our scramble over rocks and through sagebrush to the cave proved one of the most adventurous endeavors of the weekend. And the reward was sweet for high over the highway, the cave–clearly a favorite campfire spot for generations–proved large and deep. From its mouth, the whole of the Warm Springs reservation seemed to open up below us. The reservation spans miles further than the path of the human eye in every direction. But what we had gained was far greater: the start of an authentic understanding of this wild landscape and its stewards. Rafting the Rogue River Oregon with O.A.R.S. Our guided group of 11 travelers had been rafting the Rogue River less than 48 hours when a fellow participant, a native of India, stopped me as I set to work pitching my tent. “Look at that,” he said, gesturing toward the west, where river and mountains met the sky as the evening set in. Isn’t it wonderful to appreciate nature while traveling? He was right. We were currently 15 miles into our 40 mile river trek, far from any road access in the heart of Oregon’s Wild and Scenic section of the Rogue River. ‘God’s country’ surrounded us from Day 1, ‘putting in’ the river near Morrison’s Rogue River Lodge in Galice, Oregon. Our first morning with rafting operator O.A.R.S. consisted of introductions to both our guides and the river, serving as a warm-up for afternoon’s Rainie Falls: Class V rapids which some of us skirted on foot. Others were going to brave the side ‘fish ladder’ route in inflatable kayaks which O.A.R.S. dubs ‘duckies’. We camped our first night beside the Rogue, pitching our tents on the sandy beach. How we’d form a ‘fire line’ to unload the boats each evening; where the bathroom was (a portable toilet set in nature); and camp kitchen rules. The main rule was basically to stay out of the way while the guides prepare gourmet feasts. Each consecutive day of our trip brought exciting river navigation, punctuated with plenty of pit stops. Hike up a creek here, a trek to an historical site there, perhaps a stop at a jumping rock into the Rogue. Evenings were spent fishing or swimming, playing games with fellow rafters and guides, and enjoying the meals. During our five days with O.A.R.S., our guides served as river rafting pros, camp counselors, cooks, and entertainers. Dinners consisted of salmon, tamale pie, or grilled steak. Desserts included peach shortcake, chocolate fondue, and even surprise birthday cake. Every evening meal was preceded by appetizers, and every morning began with a coffee call and concluded with pancakes, french toast, eggs Benedict, and fresh fruit. On the river, we spied weasels, osprey, deer, bald eagles, bears, and snakes. In camp, we made friends. A vacation with O.A.R.S. is all-inclusive and 100% stress free. During our five days rafting the Rogue River, I tried to puzzle out the riddle of a vacation that somehow managed to be both highly adventurous and highly relaxing at the same time, and eventually gave up. Rafters and guides alike live on ‘river time’; while the schedule was set to ensure we always hit the highlights along the river, nothing was set in stone. Should we find a great swimming hole or someone yearn to fish a stretch of river, the itinerary could be adjusted. By Day 3 of our O.A.R.S. Rogue River tour, we made camp early above popular Mule Creek Canyon. We spent the afternoon at the remote Rogue River Ranch (accessible only by boat or jeep) and swam in Mule Creek. The four kids under 12 in our group played horseshoes and field games with our guides (even after rowing daily, these men and women had unending energy) while the adults socialized and relaxed. We made the push to challenging Blossom Bar rapid the following morning, allowing for plenty of time to celebrate the 4th of July holiday. Our final day brought us to Foster Bar ‘take-out’, but also to sad farewells: after spending the better part of a week with these rafters and guides, we were leaving friends, not just fellow travelers. After booking with O.A.R.S., rafters are sent a detailed packing list. Following it ensures a comfortable trip. Kids and adults need quick-dry clothing, sunscreen, sunglasses, and hats for this warm-weather trip. It’s okay to ask questions when you book. Find out if the tour you’re considering has other kids attending (if you will be bringing your own). While the trip will be fun for your kids regardless, a large part of the enjoyment for them was the friendships formed with their peers. Time in camp is simply more fun with entertainment. Bring cards, fishing gear (and a license for adults), or even a Nerf ball to toss around. We enjoyed lawn darts and Bocce ball during our trip. We were so well-fed, we rarely finished the food on our plates. Plus, no need to attract bears and other wildlife to camp with stowed food. Every Rogue River O.A.R.S. trip begins with a group meeting the evening before departure at Morrison’s Rogue River Lodge. This scenic lodge is a great place to sleep the night prior to hitting the river. Alternatives include the Galice Resort or motel accommodations in nearby Grants Pass. We learned and experienced so much on our trip rafting the Rogue River. With experienced, friendly guides and easy-going fellow travelers, it made it even better. Sounds like the perfect excuse for lots of visits, Terri! If you get to Mexico, I highly recommend the low-key atmosphere in Puerto Vallarta! We love Gulf Shores. And it’s even more affordable because my in-laws get a condo there every winter! 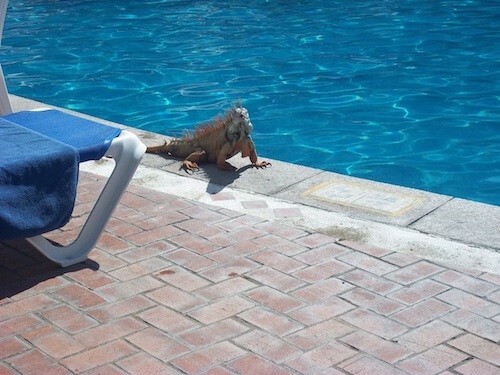 I’d really love another trip to Mexico though.